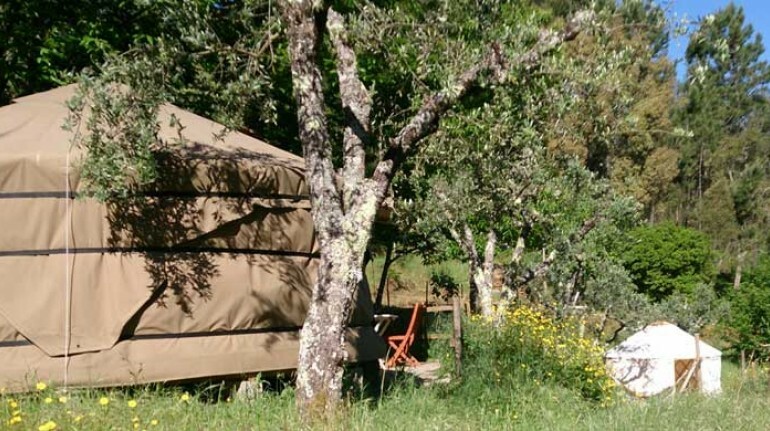 A five-star campsite for a unique experience, in direct contact with nature without giving up any comforts: it is the current fashion of tourism, a new way to spend the holidays in style and authenticity. 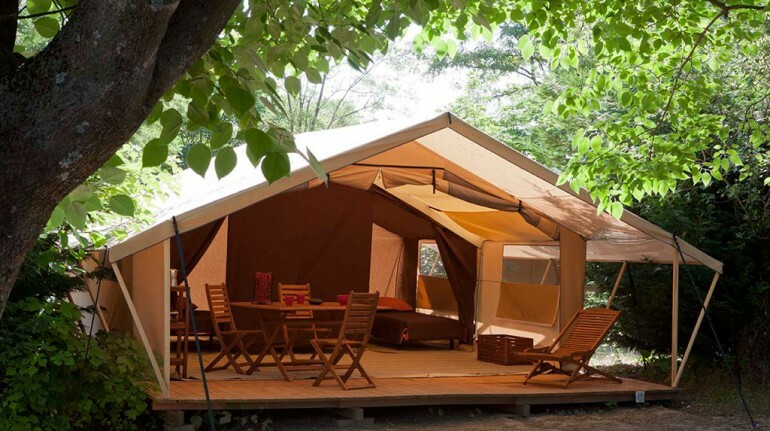 It is Glamping, a luxury outdoor holiday! We looked for the best eco-friendly glamping in the world, here is our selection. You just have to book and pack your bags! At the foot of the Pyrenees this beautiful campsite awaits you. It’s perfect for families, it offers playgrounds, soccer and volleyball fields and swimming pool, and it’s enriched by the presence of 6 luxury tents and even a tree house! 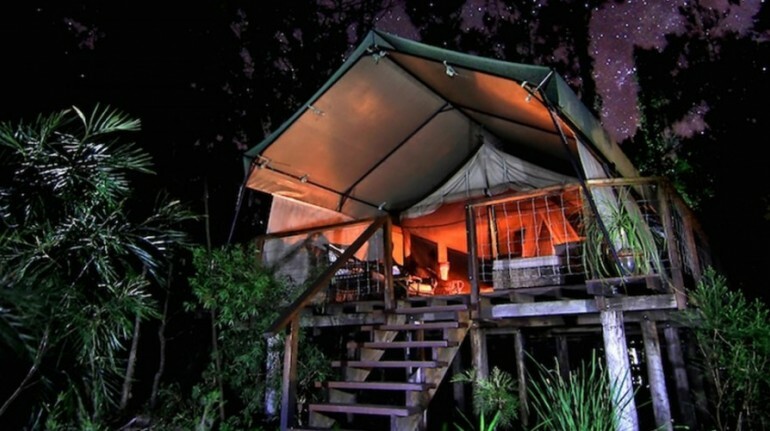 At south of Sidney, next to the white sand and crystal clear water of Jervis Bay, there are, waiting for you, 12 beautiful elevated safari tent. You will have your privacy and the sea breeze will come into your luxury room. In the camp, only powered by renewable sources, there is also a gourmet restaurant where you can enjoy the excellent local products. We move in Slovenia where, a few steps from the magical Lake Bled, we find a perfect example of glamping that turned the campsite into a luxury experience. 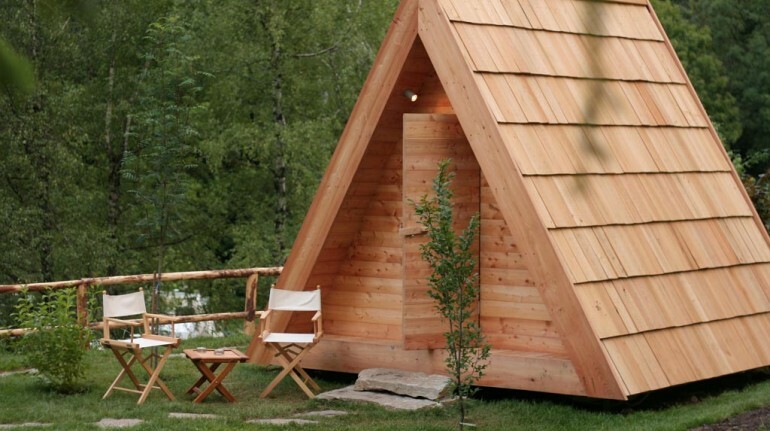 Instead of the usual tents there are mini wooden chalet, built with ecological larch, with a double bed. And there’s also a wonderful outdoor hot tub perfect for a romantic evening! 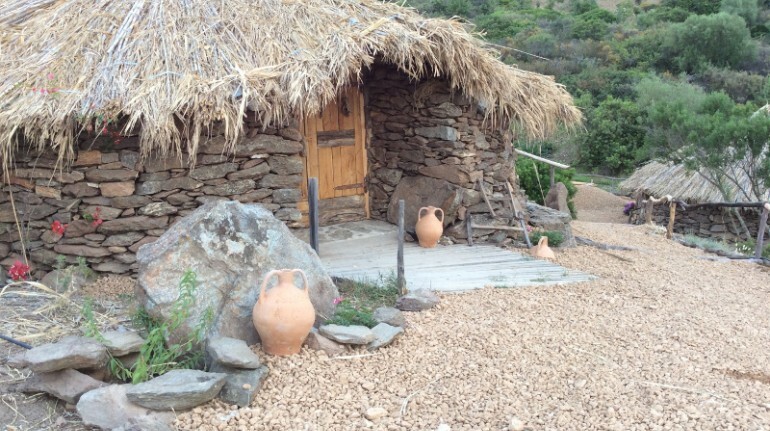 Discover the wilder side of Sardinia and its untouched nature in this eco-village that has transformed the ancient shepherds’ hut in beautiful rooms where you can spend a special holiday among organic food, essential oils and nature. All under a spectacular starry sky! 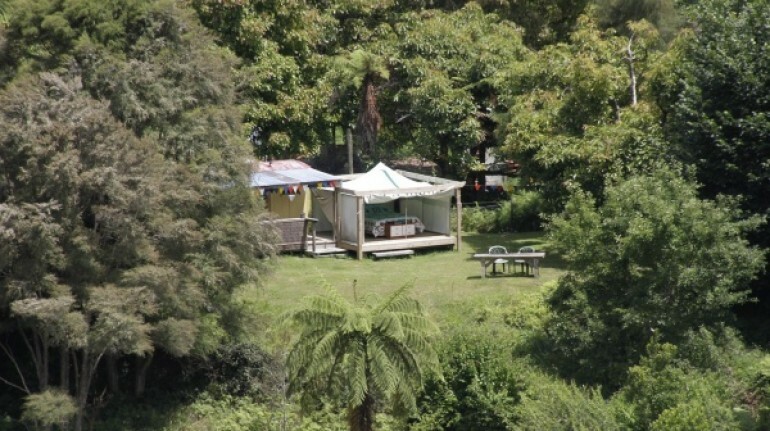 Along the beautiful Whanganui River in a remote location away from all, reachable by a small cable car, there is The Flying Fox, where you can live a wild and unusual holiday, without giving up any comfort in beautiful houses, in green architecture. 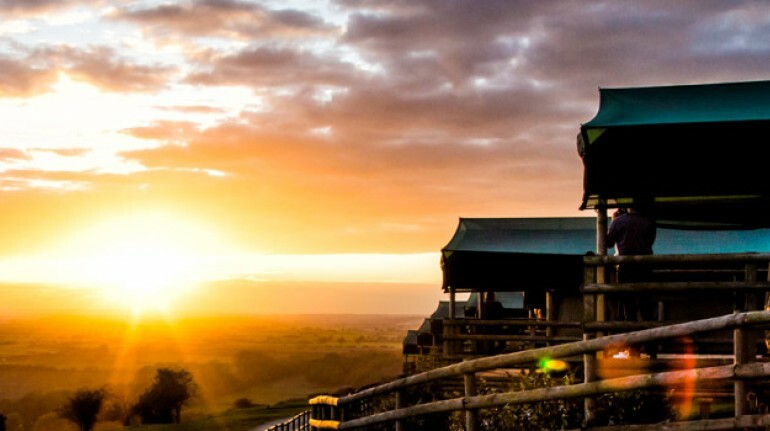 For a moment you’ll think you are in Africa, and yet we are in Lympne, England. 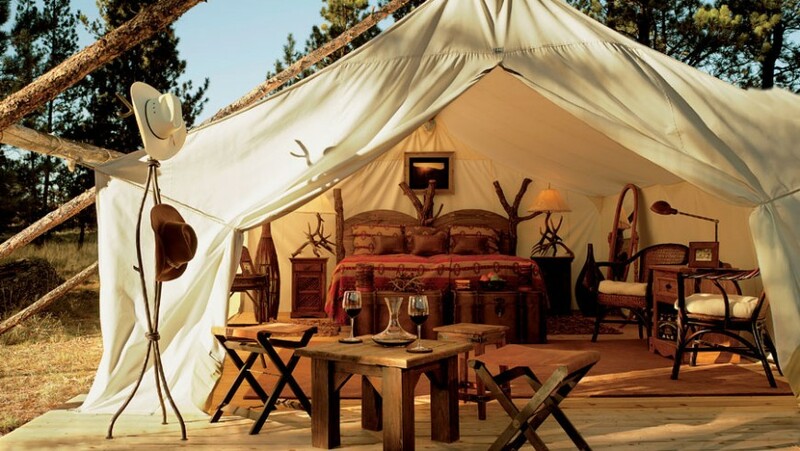 In a 100-acre park where wild animals live there are 10 luxury tents, perfect for a unique experience between gazelles and giraffes. 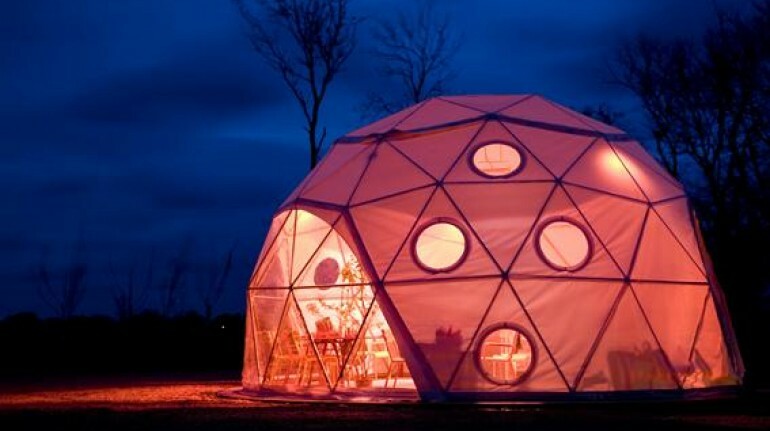 This is a really unusual glamping! 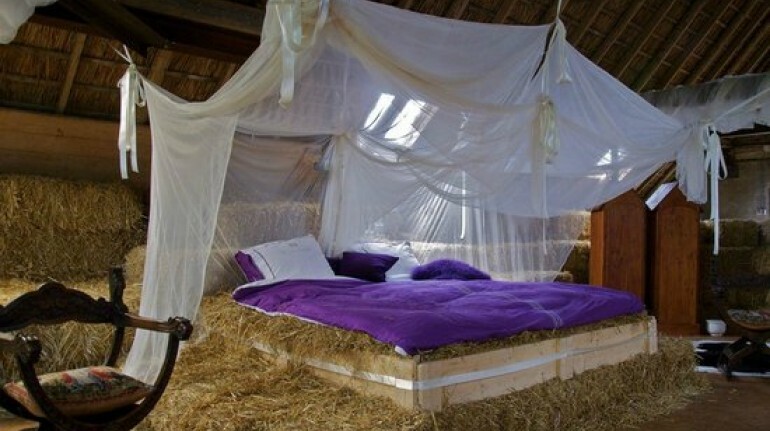 You’ll experience a fairytale experience, staying in a large barn with a very special bed, made by a thick layer of straw. We love this truly original idea for a romantic getaway! Would you like to sleep under the stars? This is the right place! 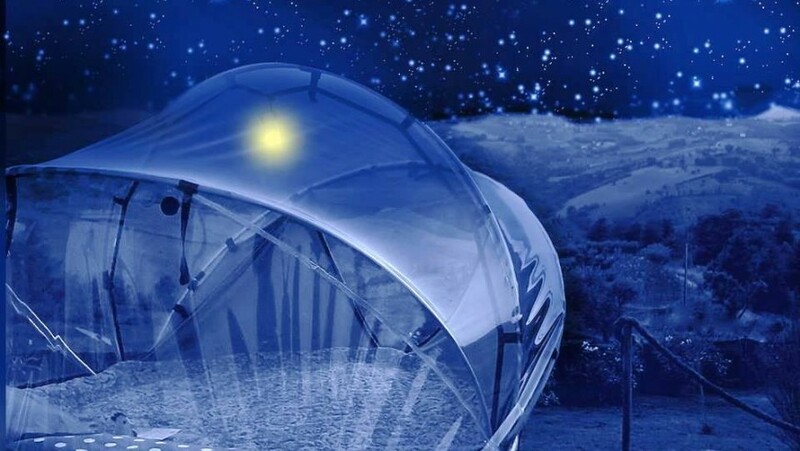 We are in the heart of Marche, in an organic farm that offers the chance to sleep in a round and transparent tent from which to admire the starry sky and wake up with the colors of dawn. Among olive trees, mimosas and fruit trees lies a beautiful campsite where you can relax and enjoy nature with your children. In this corner of paradise you will find two beautiful yurts, the typical tents of Mongolia, with kitchen and private bathroom. Escape the bustle of the city and reache the island of Texel, a place that has retained a breathtaking nature. Surrounded by dunes, a few steps from the sea, you will find very special caravans, trailers and tents with modern and futuristic design. The breakfast is made with organic products. This entry was posted in green hotels and tagged Australia, ecohotel, France, glmaping, Italy, nature, Slovenia, sustainable tourism, UK. Bookmark the permalink.